Elegant Bed and Breakfast mansion located on the northern end of Lake George. 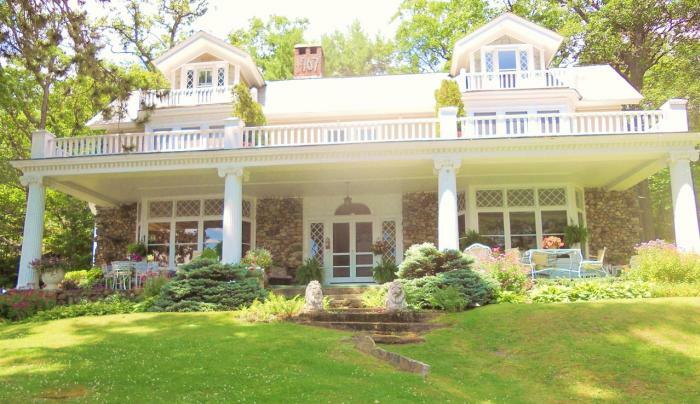 Take the opportunity to stay in one of Northern Lake George's "Great and Gracious" homes. Spectacular views of the The Queen of the Lakes and surrounding Adirondack Mountains. All rooms have private baths, some have fireplaces. Chosen as one of 12 Best Undiscovered Bed and Breakfast's in North America; featured in House Beautiful, Forbes FYI and on PBS.